I bought the droid factory set at $23.99 and thought I was getting a good deal. Crazy. Update: I just called amazon customer service and they are going to refund me the difference. Pretty cool. I did the same thing today. Back down to $30 with FREE Shipping on orders over $35 @ amazon. Click the photo to go there. I wish it would go down to $20. Down to $30 right now. I caved in and got the TIE Interceptor for $24.99 at Amazon. My buddy up here at work wanted the Slave 1, and it is currently marked down to $34.99. He came to me and asked me if I wanted anything so that his order could go over the $35 mark for free shipping. I told him to go ahead and put the TIE in his order. It wouldn't surprise me in the slightest to see Slave I jump back UP in price and then jump down to $20-something. However, I wouldn't hold my breath either. Which is why I snatched it up at $35. I picked up a few Black Series figures to put it over the free shipping limit. I got Xwing Biggs, Biker Scout, Gunship Pilot, and Manikin Skyguy for an average of $2.85 each. 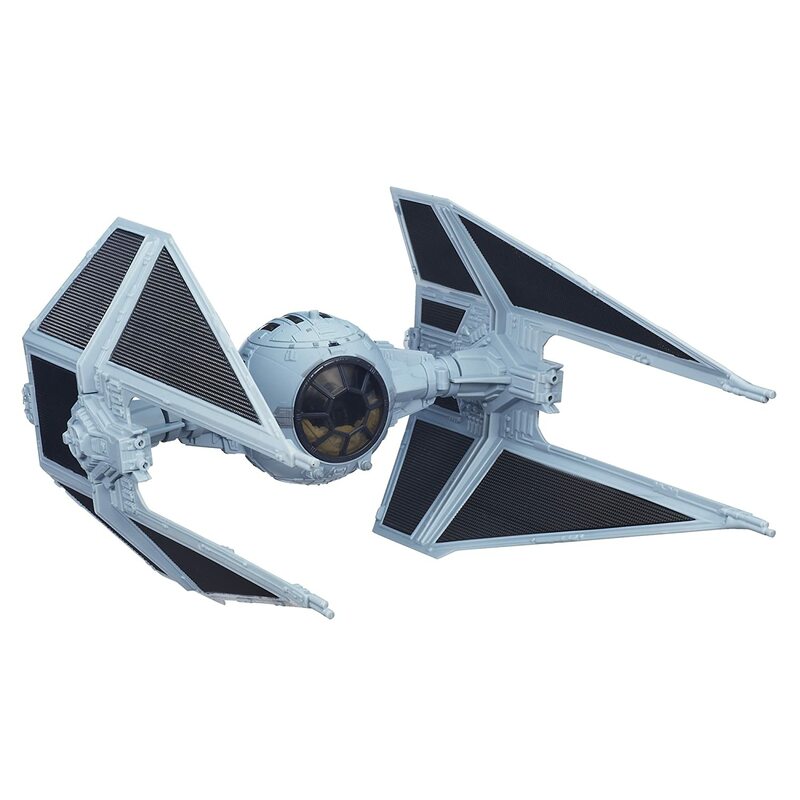 According to yakface.com, that TIE Fighter dropped to $24.99 yesterday afternoon/evening. It's back up to $50 now.